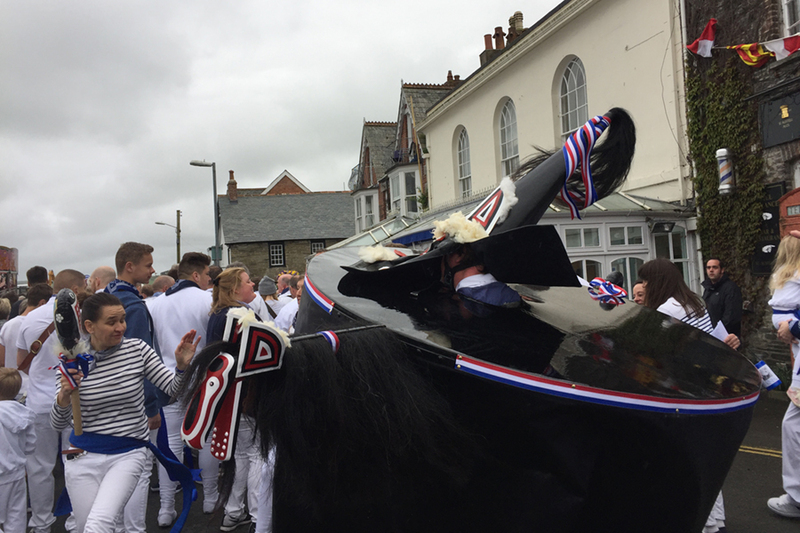 I have been wanting to visit and experience ‘Obby ‘Oss day in Padstow for many years but must admit to having been put off by the thought of massive crowds and parking congestion! Earlier in the year I spotted Denis Cove campsite, close to Padstow and the Camel Trail and thought problem solved – camp and walk in! We had the loveliest weather over Easter, almost 4 weeks of dry and mostly sunny days and you’ve guessed it, the night I arrived, torrential rain, strong winds and cold!! Undaunted and spurred on by my cheerful, local hosts, Harry and Rebecca, who gave me the lowdown on the locals’ passion for the event and how exiled Padstownians travel across the world to be home for it – more important than Christmas! I optimistically set off in my waterproofs for an early start to grab my place for the best view of the Blue ‘Oss coming out of his stable at 10am. 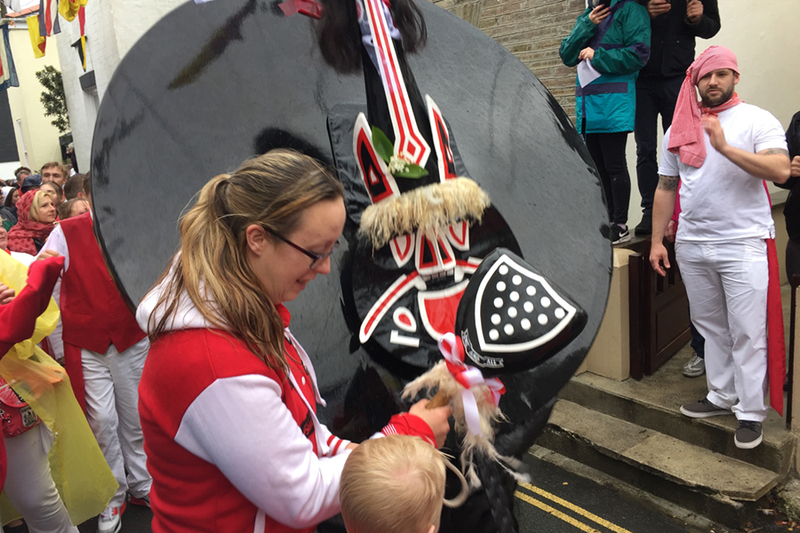 It comes out of its stable at the Padstow Institute at 10am and the Red ‘Oss at 11am. 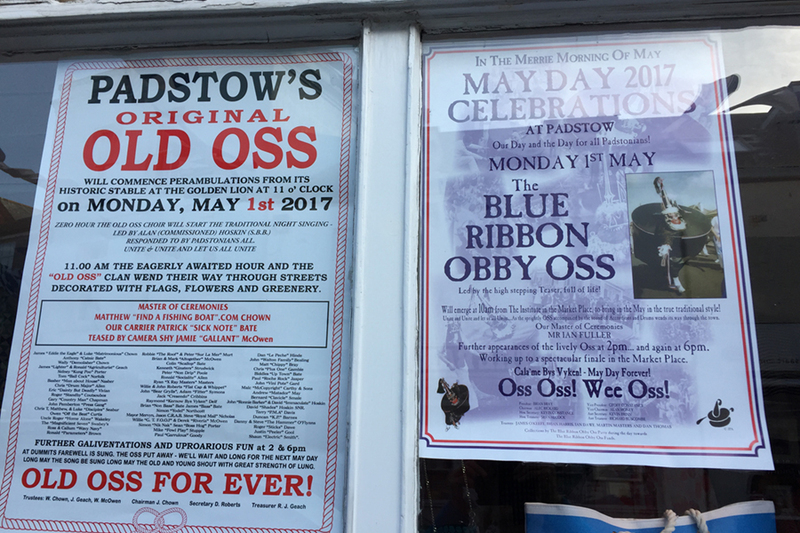 Followers of the old ‘Oss are dressed in white with red waistbands and neckerchiefs and Blue ‘Oss followers in white with blue. 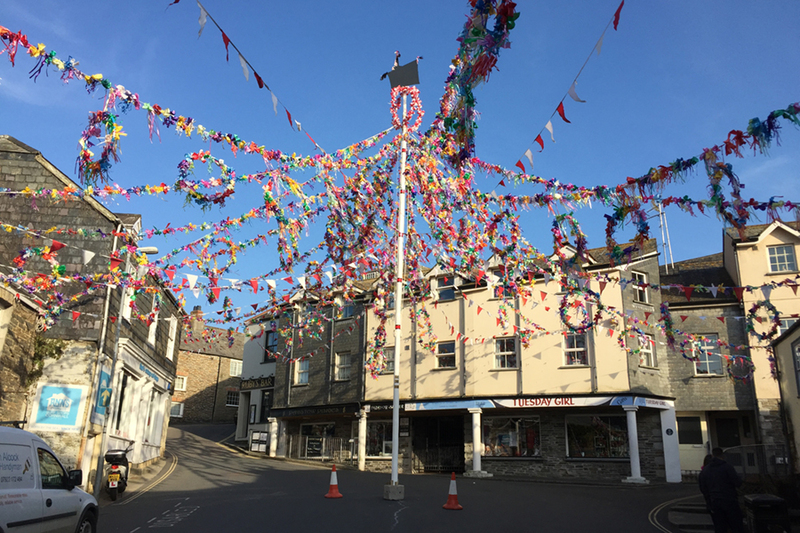 The streets are decked with tree branches, flags and there was the most magnificent maypole I have ever seen on Broad Street. The ‘Osses are powered by a strong man or woman who wears a costume consisting of a large black wooden circle with a skirt and pointed mask, who then whirls and swirls along the street being teased by the Teaser, a fellow member of his group brandishing a teaser club. He/she dances round the ‘Oss and guides it through the crowds thronging the streets of the town. 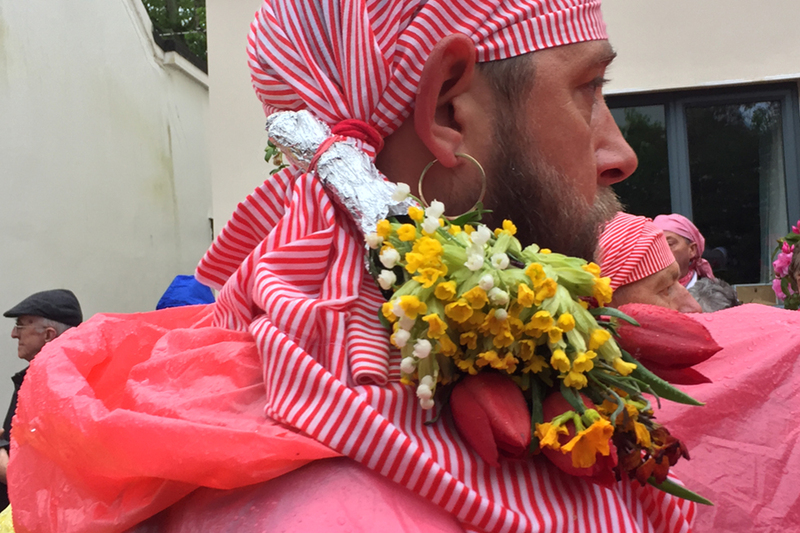 The ‘Oss is preceded by groups of followers, dancers, accordion players and drummers all dresses up with garlands of spring flowers singing the May song and it is a joy to behold. We had to keep moving places to be able to get a good view for the children but it was quite easy once you knew which direction they were taking. Both groups end up at Prideaux Place where they are served with refreshments in the courtyard. The ‘Osses repeat their journeys in the afternoon and return to their stable just before dark Their followers congregate in various pubs around the town then return to sing around the Maypole at midnight. 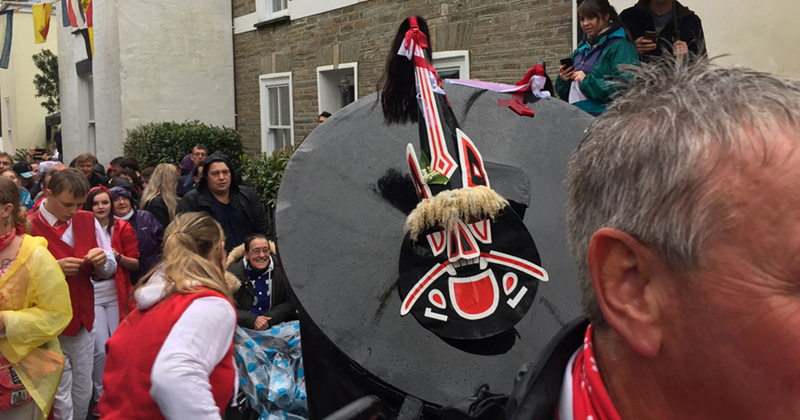 The cultural calendar of Cornwall celebrates many historic and community festivals throughout the year. There would hardly be a week of the year you might visit and not find one being celebrated somewhere in the county. 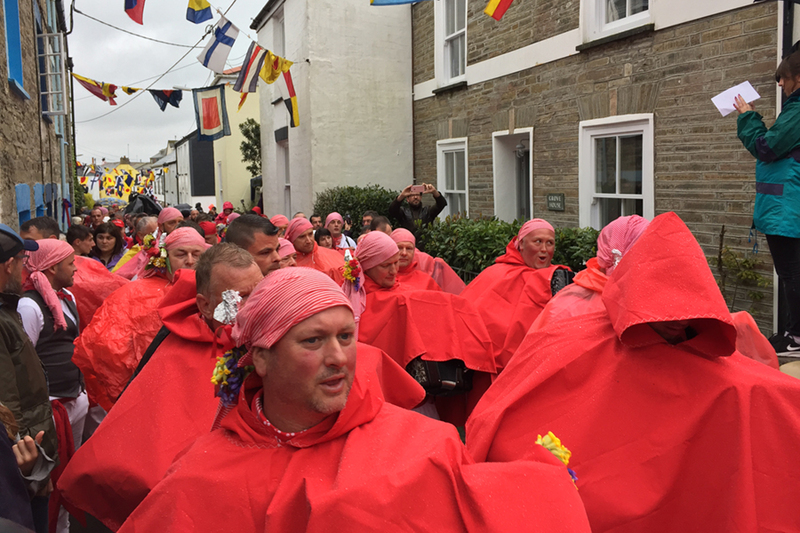 Some of them are patronal and celebrate a saint’s martyrdom with a feast day, often associated with rural village communities or other more recent modern community festivals are often named after a famous local resident such as Trevithick Day in April, or celebrate food and farming, such as Newlyn Fish festival in August or Falmouth Oyster festival in October. 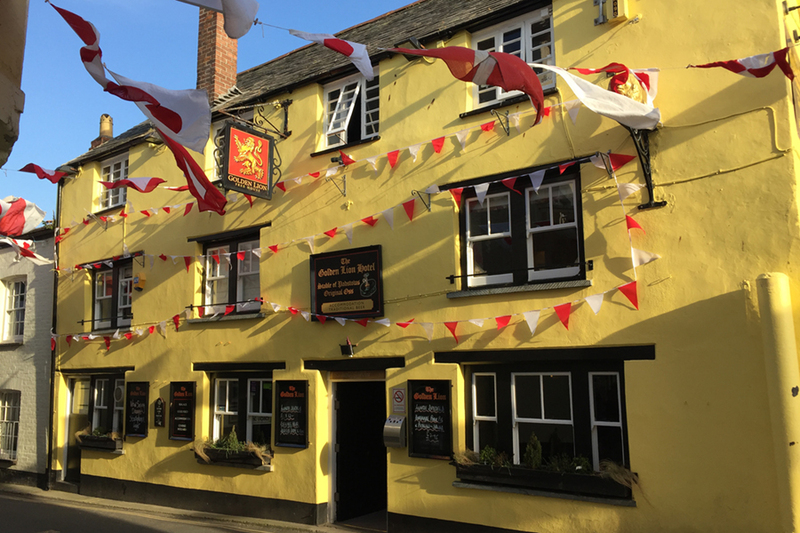 Keep an eye out for festivals when you are visiting Cornwall and I highly recommend following What’s on Cornwall www.cornwall365.com for a comprehensive guide to Art and Theatre events in the county.